Menopause symptom management - including the careful use of hormone replacement therapy and safe, natural alternatives. Preventive care and management for osteoporosis - and other health concerns that can develop during midlife. The latest solutions for abnormal bleeding and bladder control problems-including outpatient treatments, minimally invasive hysterectomy and alternatives and state-of-the-art bladder repair, all backed by Dr. Levine's 20-plus years of experience. Reliable health information - along with the support and encouragement you need to take great care of yourself. Perimenopause - the first stage of this transition - can begin as early as the mid-30s. So if you're experiencing libido problems, sleep disturbances or other changes, call Dr. Levine. 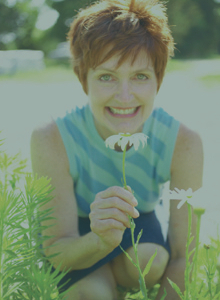 She can address these concerns right away so you can sail through menopause, feeling your best.